Again, the expectations... we had no idea what we were getting ourselves in to, but the work that was done, it was beyond anything we thought. We are really happy. When it comes to recommending, I would recommend Pinnacle Exteriors. In fact, we have a project, hopefully soon. It's our roof, so we're thinking about doing that too. And this is something Pinnacle told us they do. We look forward to having more work done, and having you guys help us out getting our house more beautiful than it already is. I went weeks upon weeks trying to find the right company to do my windows, and once I got the call from Pinnacle Exteriors I was like, "That's it, you guys are my last call. After you guys I'm not having anything else done." So I did, so Ron came in, showed me a couple of windows, saw what I needded to to, measured all my windows, and you guys price matched, which I loved because I had a couple of other estimates and you guys said, "Hey, we'll do this for you, we want your business." And I really liked that. So I came in not knowing, we are new homeowners as of last November so to us all of this is new, so to know that the professionalism I got from the phone to Ron to the actual workers, Bob and Mike... I love those guys. The week of the work, which was last week they called me and said, "we're going to be dispersing" and that was that. Then I got a letter of congratulations, yada yada, it was great. "I went weeks upon weeks trying to find the right company to do my windows, and once I got the call from Pinnacle Exteriors I was like, 'That's it, you guys are my last call. After you guys I'm not having anything else done.' So I did, so Ron came in, showed me a couple of windows, saw what I needded to to, measured all my windows, and you guys price matched, which I loved because I had a couple of other estimates and you guys said, 'Hey, we'll do this for you, we want your business.' And I really liked that." "As far as the staff, again, they were great. They were accommodating to my needs, my parents were here being a big support. They were asking questions, they were seeing how the guys were working. The guys took the time to explain what they were doing at all times anytime we had any questions they would walk us through it. The last day of work they were here until 7 o' clock at night, on a Friday, who wants to be working until 7 o' clock? But they were." "They cleaned all the windows, all the dusting, they went through every single window to make sure everything was perfect, and it was. Again, the expectations... we had no idea what we were getting ourselves in to, but the work that was done, it was beyond anything we thought." 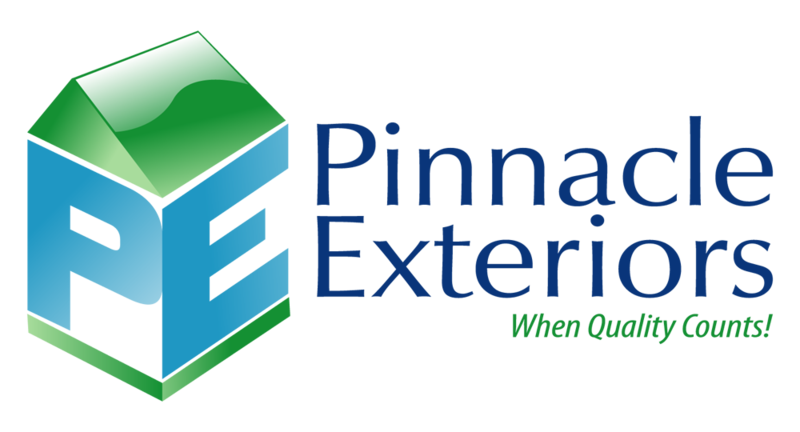 "... my project with Pinnacle Exteriors was remodeling 18 windows." "So I did, so Ron came in, showed me a couple of windows, saw what I needed to, measured all my windows, and you guys price matched, which I loved because I had a couple of other estimates and you guys said, 'Hey, we'll do this for you, we want your business.' And I really liked that."